Breakfast is served at Grant Elementary daily before school. A nice variety of hot and cold breakfast items will be served each weekday. Grant Elementary offers a preschool program in conjunction with Community Partnership for Child Development. Students who are three or four years of age by October 1 are eligible for attendance. Children with disabilities are welcome. Preschool students must be residents of District 11. For preschool information, please call 635-1536. 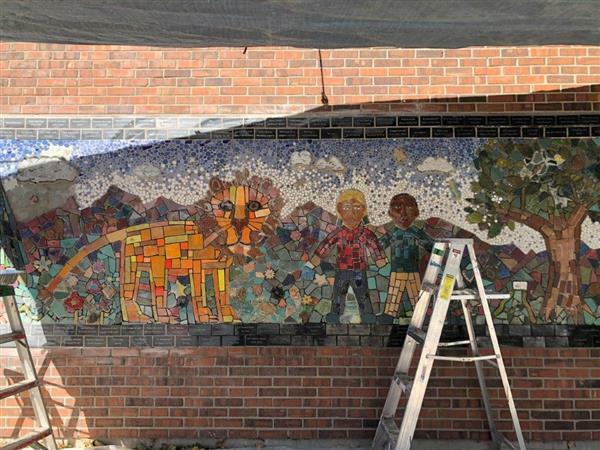 Watch our New Mosaic Being Completed!